One of the biggest challenges most of us have to face each day is the increasing amount of stress and pressure we have to deal with. Make no mistake, stress is not healthy for us and the only people who are winning from it are the pharmaceutical companies and doctors that profit from people who are mentally, physically and emotionally stressed out. To truly be happy, healthy, and in harmony with our lives we just need to relax. From waking up each day feeling grateful to be alive, to starting and ending the day with a sense of ease and grace, all comes from our ability to relax. When we are stressed, it takes more effort to get things done because we are carrying around tension in the mind and body. This tension is like being wound up like a spring coil on the inside knowing that at some point something is bound to snap. Stress also makes everything feel harder to do and means we have to use some much more of our mental, emotional and physical power just to get by. This means that whatever we do, or whoever we interact with at some level this tension is flowing from us to them. Conversely. when we are feeling centered, then the energy that flows through and from us is also calm and relaxed. This means that we can move from one task to the next, or one person to another without feeling drained, frustrated, or overwhelmed. Relaxation is our natural state. We really don’t have to do anything special to be relaxed, we just need to be centered. The problem is that so many of us tend to forget to slow down long enough in our daily lives to stop for a few moments and center ourselves before getting lost in our busyness again. The main part of us that is always busy is the mind. Our thoughts carry either a positive or negative charge and have a direct impact on our feelings and physical sensations. That’s why when you feel like your tired, drained, or even at a breaking point, you can be assured that your body has been flooded with negative energy that produces stress and tension. The antidote to reducing the stress levels from the mind and body, and experiencing more moments of relaxed awareness is mindfulness meditation. Even just taking a few minutes to unwind from the pressures of the busy day at regular intervals will help you relax and unwind a bit. As a martial artist I have learned through years of intense physical encounters with other martial artists that those that are the best at their art stay relaxed in their body while in combat. Now this may sound counter intuitive but I assure you it’s not. When we handle aggressive energy with relaxed awareness and calm movements we stay in control of our mind and body rather than tensing up and trying to win based on being faster, stronger, or more aggressive. The ability to stay calm and relaxed regardless of whether you are being asked to produce more at work, are being confronted by someone, or are in a life or death experience, will put you in the best position to make decisions and take actions that come from a place of clarity. Being able to to relax is more about letting go of the need to be or do anything than practicing any so called relaxation technique. The challenge many people have though is that they don’t know how to let go and just be. When we are learning to let go of the need for the mind, body, or even our emotions to be ‘doing’ something all the time it takes a bit of effort to get the hang of it. There really is a knack to letting go and once you develop it, then relaxation is yours anytime and anywhere you like. Wherever you are, whatever you are doing, suddenly stop and be still for 20 seconds. It’s as if your body is frozen and can’t move. This could be while you are reaching for a drink, about to stand up or sit down, walking, folding clothes, engaged in some activity at home or work – just stop and be still. It’s best if you don’t plan it in advance, just surprise yourself and stop as if frozen. When you stop it will instantly bring you to a higher state of awareness of what’s going on both within you and around you. 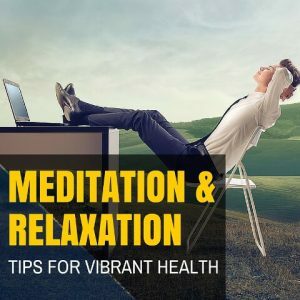 When this happens, then this helps you to relax and the result will be that you will gain a relaxed alertness that you can carry through the day. You can do this exercise as many times as you like during the day because there is no downside to it and the more you do it, the more centered and relaxed you will feel. It’s a great tool for giving yourself some time-out from the busy day while letting go of the stress and tension that may be building up in the mind and body.